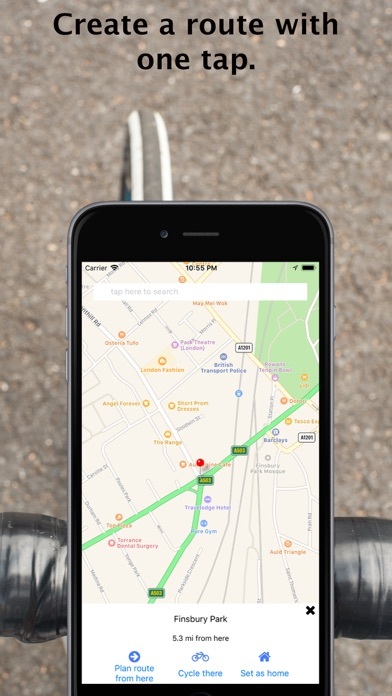 Sad that google maps isn’t on your Apple Watch? Scared when apple maps in walking mode sends you blithely up the wrong way of a one way street? Terrified when apple maps in driving mode sends you into a highway tunnel? Get this. 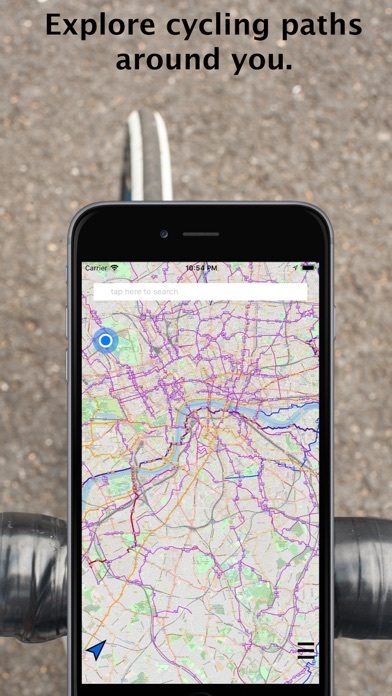 Bicycle mapping. As it should be. On your wrist. On your phone. 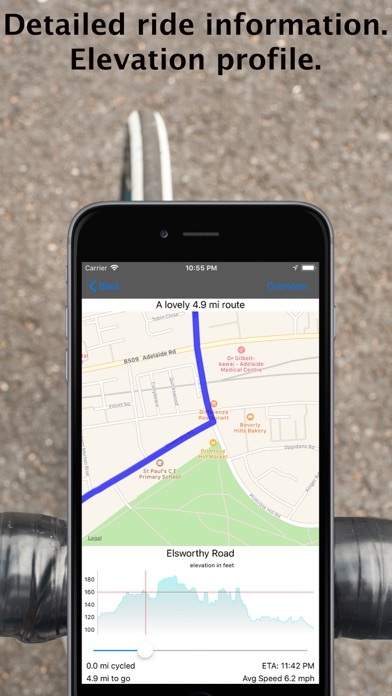 Very open so you can use the routes in other workout trackers. Super. Loved this app from the moment I downloaded it! 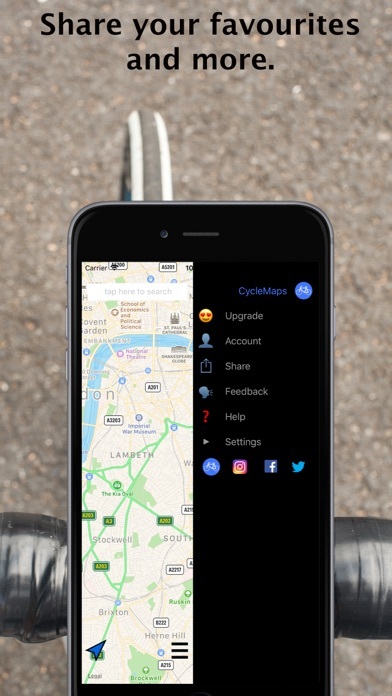 I hate riding with my phone attached to my bike, or having to stop to take my phone out of my bag, I only take my Apple Watch now when I ride with my husband, I can call, text, pay for things and get excellent directions with less of a distraction and am able to enjoy riding much more! 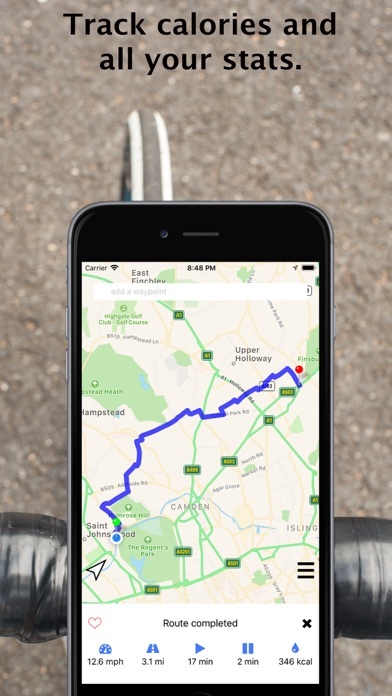 I have always liked his standalone app to give me good routing, including trails and other routes that cars can’t take. I just got an Apple Watch, and it worked perfectly with my ride. I tried to trick it by going off course, and every time I did it came up with a new route within 10 to 15 seconds. I love Cycle maps- from navigating on quiet streets around London to route planning and cycling in Spain, Australia,France or Switzerland. The only time it’s been a bit short is lacking some cycle paths in the New Forest. I use it constantly for route planning. Easy to use and great to see the route elevation profile ahead of time. 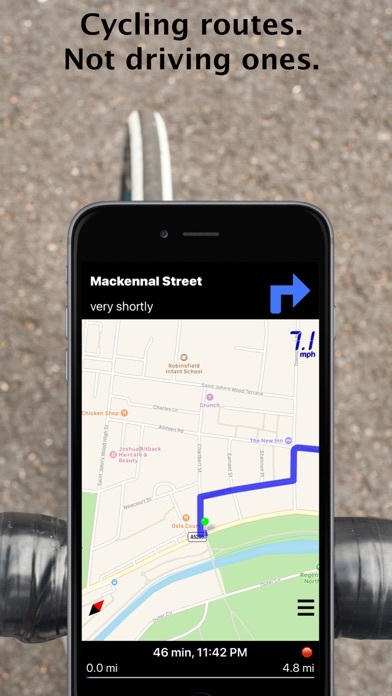 Unfortunately, there’s no Bluetooth connectivity so unless you have a phone mount on your bike you’re “sol” unless you print out the route on paper and tape it to your handlebar. Additionally, there are roads which are no longer thoroughfares and I’ve ended up having to back track and figure out a reroute I. Order to get to my end destination. 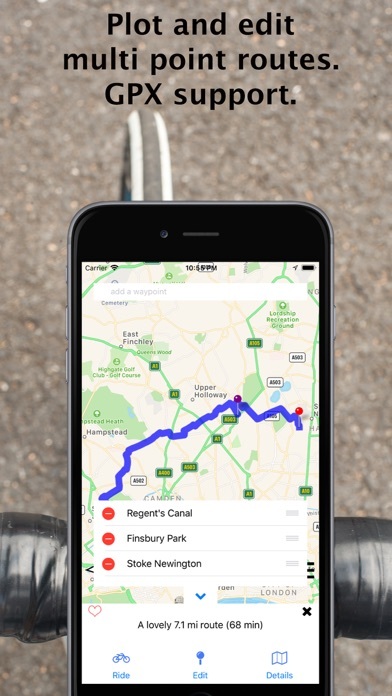 The best cycling route planner for Apple Watch. This app was giving me wrong directions And was very hard to use. I even payed for the upgrade vision from the start big mistake! Has worked pretty well at finding directions. It needs voice navigation so you don’t have to constantly look at your wrist to get the next turn.